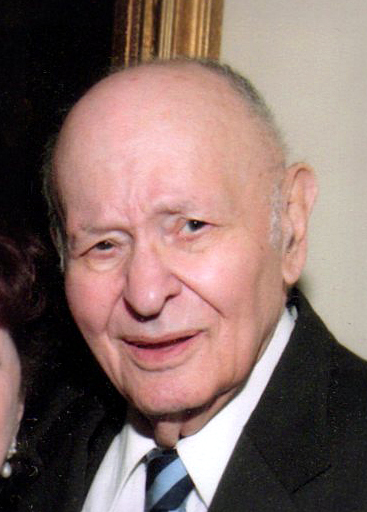 Clarence "Larry" Manziano, 95, of Monroe Township, passed away on Sunday, January 6th, 2019. Born and raised in Jersey City, Larry lived in Old Bridge and South River for many years before settling in Monroe in 2016. He served in the United States Marine Corp during WWII and was stationed in China and the Philippines during his tour of duty. He retired in the early 1980's from the former Western Electric Company of Kearny where he worked for 41 years. In the 1940's he played semi-pro football at Roosevelt Stadium in Jersey City. He also enjoyed following the New York Giants and Yankees. Larry was well known for his sharp wit and sense of humor among family and friends. Predeceased by his son, Lawrence and his three brothers, he is survived by his wife of 69 years, Anne, of Monroe; his son, John, also of Monroe; his daughter-in-law, Suzanne, of Hillsborough, his grandchildren, Lisa Venis and Nicole Vorst; his great-grandchildren, Carson and Grace Venis, and; many nieces, nephews and cousins. Funeral services will begin at 1:00 PM on Wednesday from Spotswood Funeral Home, 475 Main Street, Spotswood with burial to follow at Chestnut Hill Cemetery, East Brunswick. The family will receive friends on Wednesday from 11:00 AM until the beginning of the service. To send flowers or a message of condolence to the family, please visit www.spotswoodfh.com.